By Dr. Nick Trout, Broadway Books, $24.99. You can teach a veterinarian all the professional skills in the world, an internationally renowned practitioner/educator once told me, but you can’t always instill in him or her the best people skills. Each, of course, is fraught with challenges — like a near-death experience with parvovirus by Whiskey — all of which offer learning experience for young Nick, who aspires to become a veterinary surgeon. He remains on course and eventually graduates from the University of Cambridge veterinary school. Later, he travels to the United States, where today he serves as a staff surgeon at the prestigious Angell Memorial Center in Massachusetts. 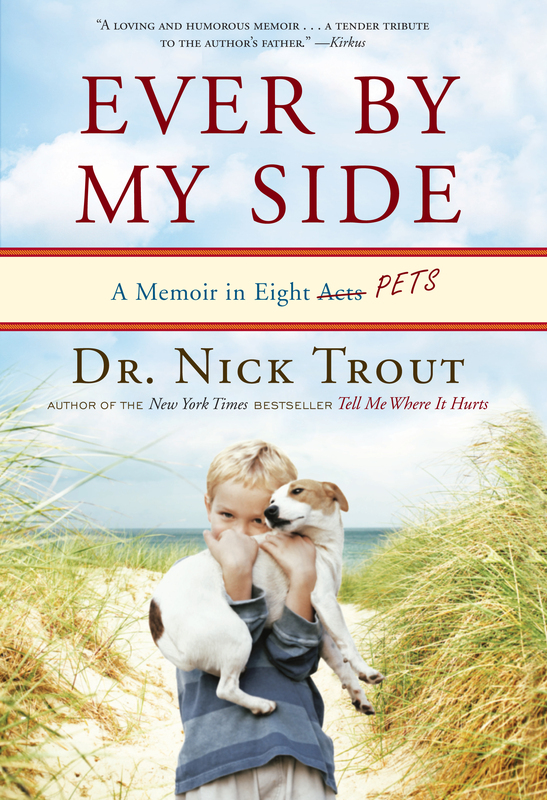 In “Ever By My Side,” Trout is refreshingly up close and personal throughout, from his youthful days to a couple of decades later as a husband, father, respected surgeon and pet owner. While accented with wide-angle snapshots of cases, Trout is at his best with engaging family stories, ranging from his challenging interactions with Reginald C. Cat, already a family member of his wife Kathy and step daughter Whitney, to the recognition that the couple’s young daughter Emily has cystic fibrosis. The latter proves an extraordinary wakeup call and stark contrast with a recent case where he saved a burned animal’s life and leaves Trout questioning how the public values pet and human life. Packed with memorable characters and inspiring lessons that breathe vivid life into each story, “Ever By My Side” captures the heart and soul behind the professional face of one special veterinarian.